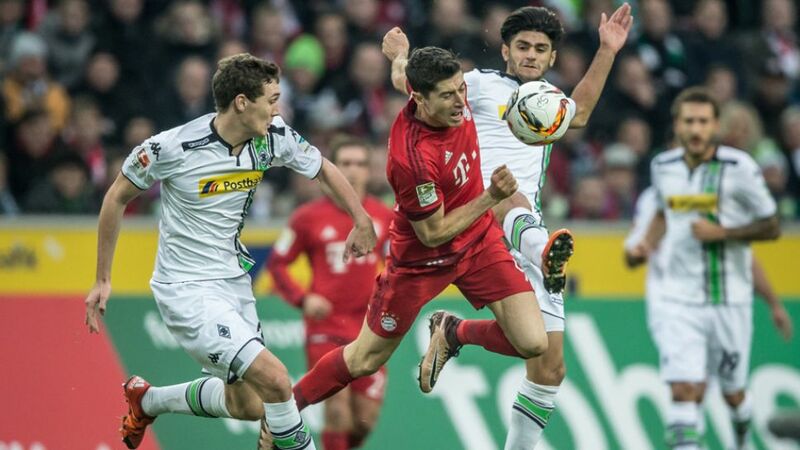 History could be made when Bundesliga leaders FC Bayern München take on old foes Borussia Mönchengladbach on Saturday afternoon (kick-off 15:30CEST/13:30GMT). bundesliga.com looks ahead to a game that could see the Bavarian behemoth crowned Bundesliga champions for an unprecedented fourth season in a row. With a seven-point cushion on second-placed Borussia Dortmund and only three rounds of fixtures remaining, the formula for Bayern is simple: beat Gladbach and a 25th Bundesliga title will be theirs with two games to spare. Pep Guardiola's men still have games against FC Ingolstadt 04 and relegated Hannover 96 to get the job done, should they slip up this weekend, but there is no doubt that a Matchday 32 title wrap would do wonders for morale ahead of Tuesday's decisive UEFA Champions League semi-final second leg at home to Club Atletico de Madrid.